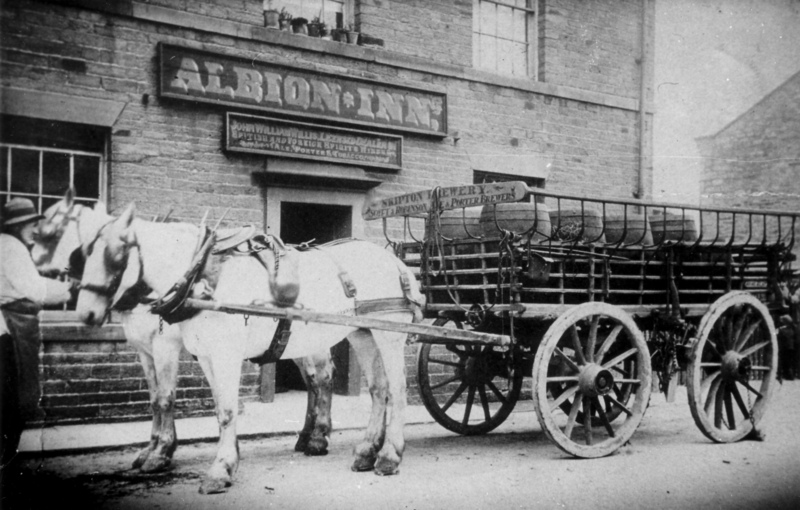 Albion Inn, Otley Street. Scott & Robinson Skipton Brewery horse-drawn dray. John Snowden driver. I don't think this is Lord Snowden's father, Mary. Philip Snowden was born and grew up in Cowling, about 7 miles from Skipton. His parents and sisters all worked at the local Ickornshaw Mill. They were teetotal Methodists - not likely to be working for Skipton Brewery!